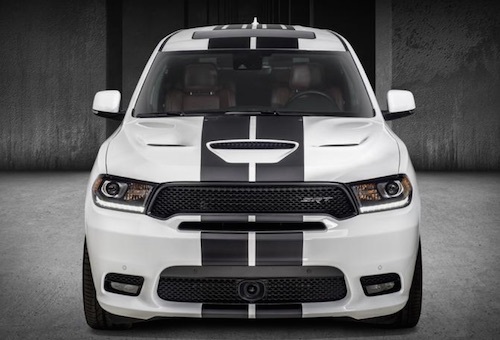 The new 2018 Dodge Durango R/T and SRT is now available with dual-center stripes for a factory-custom look. An enhanced SRT Interior Appearance package with carbon fiber trim as well as a new Mopar performance exhaust system and a new Mopar performance lowering kit for improved handling and a lowered stance, are also available for the new Durango. These race inspired features may seem a bit out of place on a sturdy mid-size SUV but the Durango SRT has earned the right to be tricked out as a sports model. The new Durango is powered by a legendary 475 – horsepower HEMI® V-8 engine that earned a National Hot Rod Association–certified quarter-mile time of 12.9 seconds. This model is not only fast but offers a best-in-class towing capacity of 8,700 pounds. 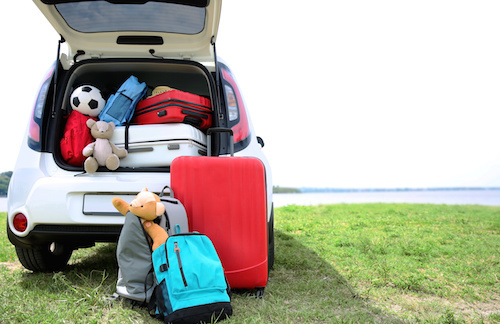 The Ed Voyles Dodge Dealership near Atlanta currently has a selection of new 2018 Dodge Durango models in stock. We invite you to explore our new Dodge inventory and come in for a test drive soon.